Having planned our extended family pre-Christmas get together at Polpier for some weeks, we were all incredibly excited. The photographs and descriptions had revealed the beautiful house with its manicured lawns, two acres of landscaped gardens overlooking Mevagissey harbour and the sea beyond. We’d seen the beautiful and luxurious bedroom suites, the billiard room, library, hall which doubled as a dance floor. But upon arrival, there was one member of the family who was particularly excited. 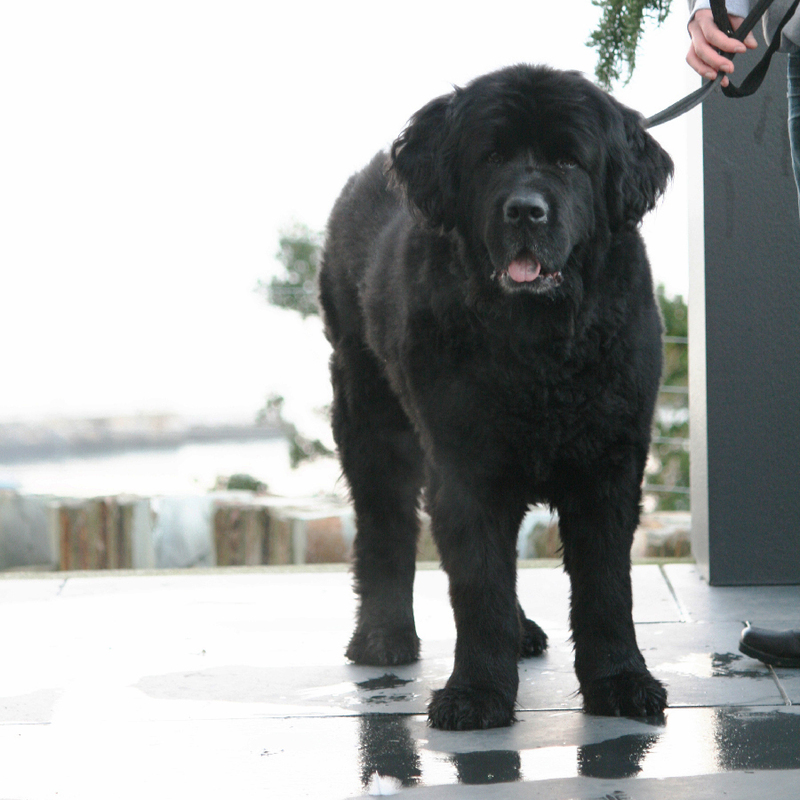 One member of the family, who is usually excluded from such incredible properties — Rosie, our Newfoundland dog. Dogs are incredibly welcome at Polpier, and Rosie was as happy as a small puppy when she was able to trot through the hall, explore her very own very large bed and explore the gardens. Despite the luxury and the size, of Polpier it feels very much like a home from home, not least because you are able to enjoy your time there with your canine companion. The house is of course, immaculate, not a pet hair to be seen, but the fact that Amanda and Richard Hines love dogs is evident in the beautiful paintings, the books (Andy Hughs’ I JackRussell sits in the living room) and a lovely huge dog bed in the kitchen. The gardens were what Rosie loved best. Each morning in the dawn light, we would go out together to explore the pathways around the nursery area, greenhouse and tennis courts. Then we would wend our way back up past the swimming pool and sit and watch the sun come up from the terrace beside the kitchen. What was also lovely is that Mevagissey itself is very dog friendly. 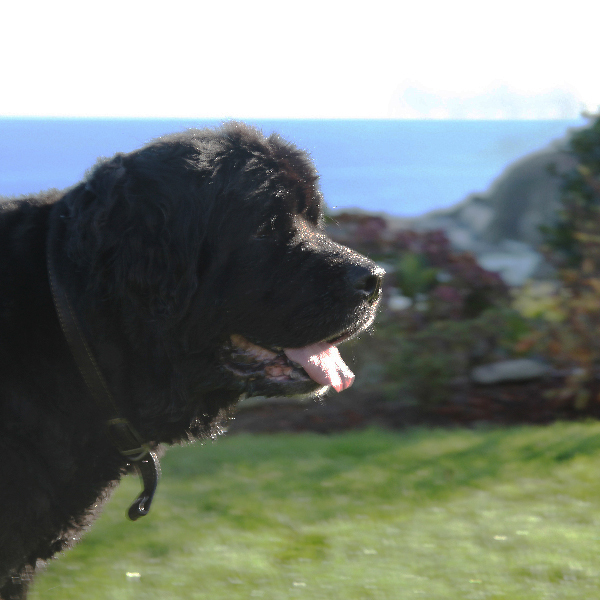 During our stay, we enjoyed a meal in The Sharksfin restaurant, a dog friendly establishment overlooking the harbour. The Ship Inn and Fountain Inn are also good, dog friendly pubs. Many shops had doggy inspired crafts and gifts and some had dog bowls outside. The Lost Gardens of Heligan are five minutes away this is a fascinating and beautiful garden to visit at any time of year. Dogs are welcome on leads and there is also a covered eating area so you can enjoy a dog friendly cream tea. Watching Rosie playing happily on the lawn, my husband Adam commented that she was as happy and joyful as he had ever seen her. We all in fact had the time of our lives at Polpier, and it was wonderful that the whole family was very welcome. If you have enjoyed this blog, please follow us on Instagram or Facebook to get daily updates on life in Cornwall and notices of when the next blog will appear.